Immigration law in the United States tends to be quite complicated and unpredictable, which can cause concern for our business partners who want to share the United States’ educational and cultural advantages with their families. We work as a team with noted law firms who specialize in U.S. immigrations issues so that we can offer solutions to immigration problems our partners may encounter. 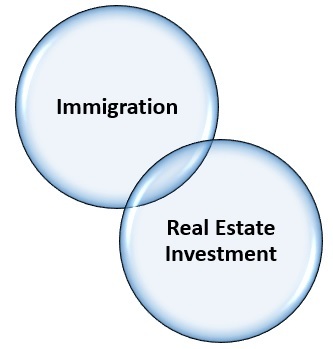 The U.S. Immigration Act of 1990 created the EB-5 visa for immigrant investors. Through this visa, a green card for foreign investors in the U.S. can be obtained. The minimum amount for an individual to invest is $500,000 in a “Targeted Employment Area,” which is an area that is rural or that has a high unemployment rate. Otherwise, the individual must invest $1,000,000, which preserves or creates a minimum of 10 jobs for U.S. workers. The investor and his/her immediate family are not included in the job count. The investor and dependents are granted permanent residence, which is valid for two years, provided the investor’s petition receives approval. Evidence must be submitted by the investor that proves the full investment has been made, along with evidence that proves that 10 jobs have been created or are going to be created soon, or that 10 jobs have been maintained. This evidence must be submitted in the 90-day period before conditional permanent residence expires. Sunshine State Enterprises is affiliated with Florida EB-5 Investments LLC. This is EB-5 Regional Center as designated by the USCIS. We have succeeded in establishing the Recker Highway Business Park, an EB-5 approved project. 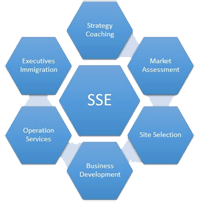 The process of securing EB-5 investors has begun, with the goal of together financing new businesses to be located within the business park, a move that can help you reduce risks and capital outlay when you expand to the U.S.
An employer in the U.S. is allowed to transfer a manager or executive from an affiliated foreign office to a U.S. office with an L-1A non-immigrant classification. For foreign companies with no affiliated U.S. offices, the L-1A classification allows them to send a manager or executive to the U.S. for the purpose of setting up such an affiliated office. Sunshine State Enterprises has a team of professionals licensed in the real estate industry, should individuals, businesses, or families need assistance with U.S. real estate purchases. Such purchases can be a first step in the U.S. for international investors, and our experienced, well-connected team can help. Thanks to our highly current market information, networking efforts, and attendance at industry events, we can help clients see why Florida appeals to so many international investors in real estate.